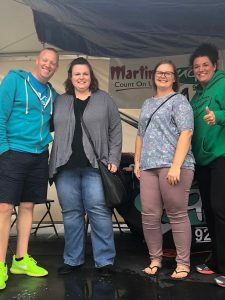 Heritage Employees Support U93’s Roofsit! Heritage employees, Angela and Megan, presented Roofsit with $797.85! As Heritage normally enforces a business casual dress code, paid jeans days were held to raise money for the fundraiser. Employees wanted to do their part in child abuse prevention! Community activism, volunteerism, and a do-good attitude are highly cherished values at Heritage. This entry was posted in Uncategorized on June 28, 2018 by aneely@hfgnet.com.